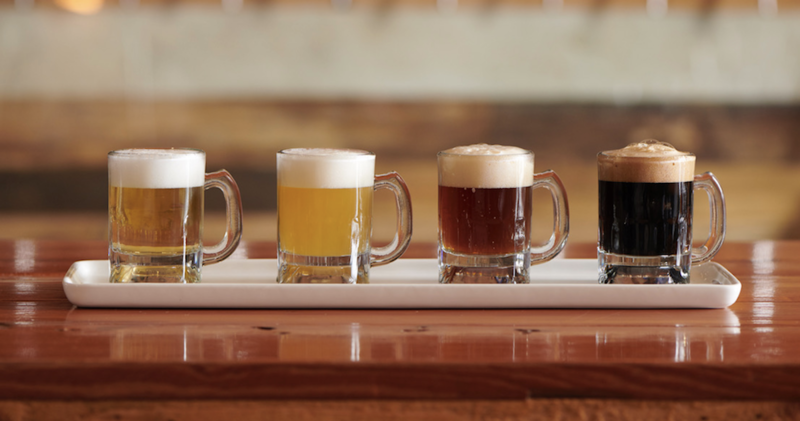 What is the difference between a craft, a macro, and a micro brewery? When you drink craft beer, you’re supporting small, and more importantly, local businesses. By supporting your local breweries, you’re helping the craft beer industry grow. You’re positively impacting the economy. According to the Brewers Association for Small and Independent Craft Brewers, the craft brewing industry contributed $76.2 billion to the U.S. economy in 2017. This led to more than 500,000 jobs provided in America that year. Check out this great article from Alberta Beer Festivals on why drinking craft beer can help Alberta’s economy. When you choose to drink craft beer, you’re simply allowing yourself to have more variety in beer styles and flavours. Craft breweries have the advantage and freedom to explore new and unique beer ideas. When you support these smaller breweries, they get recognition. This leads to brewers getting the opportunities to create more unique brews using ingredients commercial breweries don’t, which gives us more variety of beer flavours to choose from. Unlike mass produced and “big beer companies”, craft brewers are focused less on marketing and stock prices and more on the quality of their brew. Like stated above, craft brewers have opportunities to experiment with recipes, different ingredients, flavours, etc., and are constantly trying to produce new beers that are unique, but more importantly, taste good. Pairing beer with food has become a huge trend in the craft beer industry and the food industry. Learning a beer’s profile and pairing your craft beer with specific flavours can really enhance and ameliorate a meal. Click here for great ideas on how to pair craft beer with your favourite foods. Craft beers tend to have a higher ABV%. Simply put, craft beers usually contain more alcohol than watered down mass produced beer, like Budweiser or Kokanee. If that’s not enough to convince you to drink craft beer, then I don’t know what is. Most craft beers range from 5 – 10 ABV%, but some even reach alcohol levels up to 20 – 40 ABV%. Different beers for different seasons. Most craft breweries produce seasonal beers and use ingredients and flavours in these special, once-a-year brews that aren’t available year-round. It is very unlikely that the beer you want to drink in front of a fire place at Christmas time is the same beer you want to drink as you’re soaking up the summer sun. Thanks to seasonal craft beers, you can have a different beer based on the season and occasion. Researchers have found than craft beer has many health benefits, and some people believe craft beer contains more nutrients than red wine. (Take that Just Wine!) Craft beer contains fibre, vitamin B3, a huge range of antioxidants, and a rich source of silicon (the mineral that is essential to strong bones, clear skin, and flexible joints). Craft beer promotes better conversation. There are so many things to talk about when it comes to craft beer and it really is a great conversation starter. You can talk about the brewery the beer came from, flavour profiles, comparisons between other craft beers you love, and the list can go on. Click here to learn how to talk about craft beer like a professional. There is a huge community that revolves around craft beer and the people involved are some of the friendliest people you will ever meet. Hang out in your local brewery’s tasting room to meet other craft beer drinkers, go on a brewery tour, check out a craft beer festival in your area, or join a craft beer Facebook group. There are so many ways to get involved in the amazing community of craft beer. Like stated above, it’s important to support your local business! When you buy beers from your local breweries (a.k.a craft beer), you’re supporting those businesses. You’re fostering industry growth and you’re new opportunities for economic development in your city. It’s a win-win situation for everyone involved! To learn more about the #DrinkLocal movement, click here. If you take someone who is a Molson Canadian drinker only and try to give them a hoppy India Pale Ale or a bold Stout, chances are they aren’t going to love it. 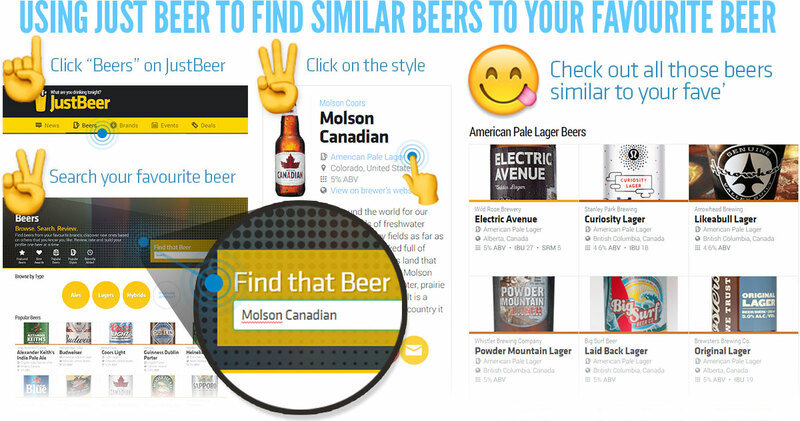 Take baby steps and use your JustBeer app to find similar beers and styles to brews the craft beer newbie already likes. Brewery tours great way to learn more about your local brewery, the craft brewing process, and to meet other craft beer drinkers. Reach out to your local breweries to see if they offer tours or tastings. To find local breweries near you, click here. If your local brewery doesn’t do tours or tasting, throw your own! Invite your friends and introduce them to all your favourite craft beers and maybe even some you haven’t tried yourself! For tips on how to host an awesome beer tasting part, click here. Check out this post for more tips on how to convert your friends to craft beer and, more importantly, how not to be a craft beer snob. What Temperature Should I Drink My Beer?